I’ve had a few messages suggesting that I haven’t done one of these for a while, and having just moved on my JLC it seemed like a good time to take stock. Eight is a couple more than I’m comfortable with in all honesty, but I can’t see any of these going any time soon so I suppose I’ll have to get used to the it. The strange thing is that I seem to enjoy wearing the Seiko and CWC more than any of the others, probably because I don’t have to think about it once they’re on my wrist… that should probably tell me something. The Daytona has been the biggest surprise, because it’s just so versatile that it always seems “right” when I put it on; and the AP is as wonderful as I hoped it would be, but unfortunately I have to wait a few weeks for them to reopen in Switzerland in order to get a 1.5 link for the bracelet (it’s very marginally tight at the moment, or alternatively a bit too loose). 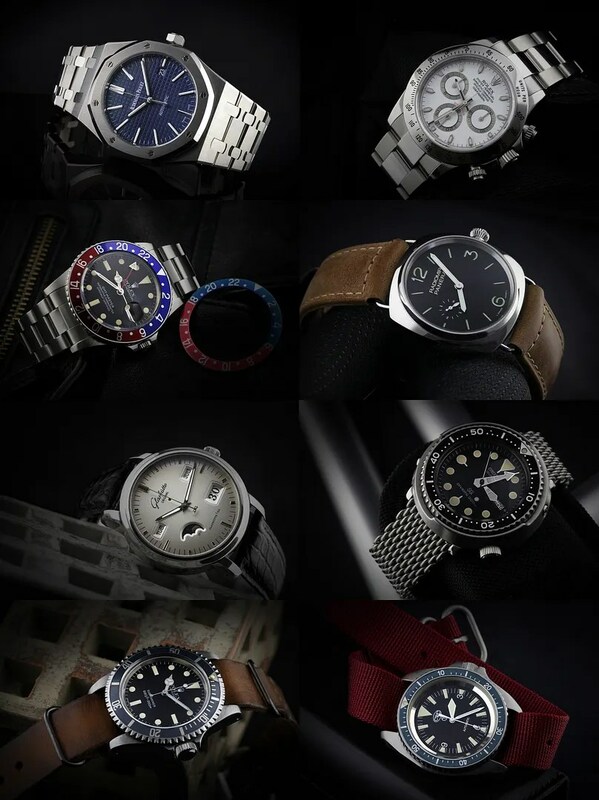 It’s also quite nice that I’ve got the various bases pretty much covered; old, new, chrono, moonphase, GMT, three-handers, manual, auto, etc. Anyway, here’s a single montage of all of them. This entry was tagged Audemars Piguet, CWC, Glashutte Original, Panerai, Rolex, Seiko. Bookmark the permalink.